In this article, I would like to share with you a case study on what I observed a few years ago in the electrical retail sector regarding low price vs high value. This was something that I was interested in knowing and I was in the right place at the right time to observe it in action. I was told a long time ago that there are 2 main principals in getting a business to succeed sales wise. The first is to offer low prices and try to get a high quantity of sales, this was called volume selling. The second was to create an experience for the customer, not cut your prices but offer more value so the customer could see why your product or service was worth the extra. This was called value selling. Below is a case study that I saw in action when I was living in a large rural town. All of this was observed over a 12 month period and was very interesting to say the least. This really shows the difference in the Low Price Vs High Value debate. Hope you enjoy this case study. Please feel free to leave a comment below on whether you have experienced similar outcomes in your own business. A few years ago I knew the owner of a medium sized electrical franchise in a large rural city, for the sake of anonymity we will call him Fred. It seemed that almost every weekend his store had a sale on. We had quite a few discussions on why he felt the need to do this and how it was working out for him. Apparently the main reason for the constant sales was to compete with the much larger electrical outlet in town. They also had constant sales and were hell bent on eliminating any and all competition in the area by undercutting and offering lower prices which they were able to maintain due to their larger buying power. Indeed, of the 5 main electrical goods retailers in the town, 4 of them including the larger one had sales on quite often. This was all to compete in the market and try to make up for the lower profit margins with a higher volume of sales. Over the space of 12 months, I watched Fred become more and more stressed as he constantly fought to compete in the market and still make enough profit to survive. Over this period Fred’s store had a grand total of 33 “sales”, some lasting 2 weeks and others one or two days. When I asked Fred how things were going, he sighed in resignation and said he would end up having to close down the store as he just couldn’t compete price wise and was slowly but surely killing his business with a constant loss even though he was getting a reasonable amount of customers. Going into details, Fred explained that when they had a sale on they would get quite a lot of people coming into the store browsing for a bargain. However this did not convert into enough sales to make the sales worthwhile as a lot of the browsers would then go to the other electrical stores and get them to beat the sale prices. In such a competitive market, Fred had found that while offering lot’s of sales brought people into his store they did not necessarily by from him, which meant he was running at a loss because he still needed to have more sales staff to help the volume of visitors to his store but was not making enough sales to cover the costs. “People are also now expecting sales” Fred said. “When we don’t have a sale on, the amount of people who come into our store drops significantly, and even those who do come in are looking for a bargain price match for something they have seen at another retailer so if I don’t match it they just go elsewhere”. Fred’s electrical store has since shut down because as Fred had decided to try to compete with constant undercutting and sales he found it impossible to still have a viable business. This is something I see often in my own industry and many other service and retail businesses. The general mindset seems to be that having constant sales will attract more customers and therefore create more turnover for the business. Business owners think that the only way to compete is by offering lower prices and having sales to bring the customers in. What they are really doing is making it harder for themselves to have a sustainable business and having to work harder to bring in a profit. Now, some of you may have noticed that there were 5 electrical businesses in the city, but above I said only 4 of them had the constant sales and price reductions. So what about the fifth one? The fifth electrical store was a family owned business that had been there before any of the competition started up in the city. It only had 2 sales a year and would never price match with the other businesses, indeed when push came to shove they always stood fast and would rather see a customer walk out the door than compete on price. What they did do that kept them in business was they offered a great service, had an excellent return policy and were able to offer advice on what you needed in an expert manner. While the other stores stocked a large range of different products that did the same thing, the family run business only stocked premium products that were higher quality and had a much better reputation and guarantee. Rather than having a high number of visitors through their store, they were known as the place to go when you wanted something that would work well and last longer than anything the competition stocked. They offered a great buying experience that was hassle free and pleasurable. It was not unusual for customers to just come in for a chat and end up buying something whilst in the store. It was also the only electrical store that still shut on Saturday afternoon and all day Sunday, and people would actually wait until Monday to come in and get what they needed. It had a very loyal following of astute customers who appreciated both the quality of the products and the experience of buying at the store. Because they didn’t have constant sales on or reduce their prices to compete, they had a higher profit margin than the other stores which meant they didn’t need to sell volume to be successful. Instead they concentrated on offering a shopping experience that was above the other stores, which created a higher value perception with their customers. This that overcame the higher prices for their products. This can be done in whatever business you are running, be it a physical store selling products, a service based business, a tradesman type business or even an on-line venture. You have the choice on whether your business will compete in the market on price or on the customer experience. If you go down the price pathway, you need to have a high amount of new customers and make lots of sales to be sustainable. However if you go for customer experience you will need less sales, be able to provide better service and become known for your value. Now, how about you? Which way does your business operate? 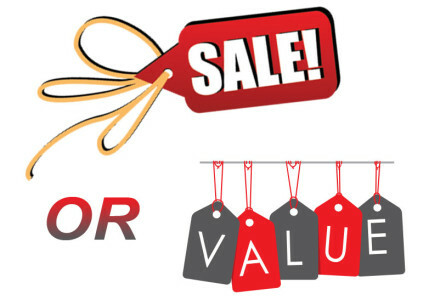 Have you worked out which option (low price vs high value) is better for your business? Please let us know in the comments below. We would love to hear what your experiences have been. We live in a world where people are so used to “sales” and getting the best deal, that I imagine it is quite challenging to maintain your price points and stay strong. 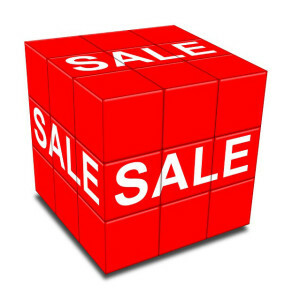 Retail stores always seem to have sale after sale and I find personally, I never buy anything at full retail price, knowing that the stores I shop in will have a sale in the very near future. I also think with the web, people now expect to find whatever they want for free. I have a friend who is a graphic designer and he has maintained his position and either charges his full price or does the work free, as a favour. There is so much competition in the online world, that it does make it hard to be paid what you’re worth. I do think stellar customer service is one component in building a loyal tribe. Trying to out compete your competition, as you’ve shown, is the sure way to drive yourself out of business. Thanks for the case study, as it definitely offers food for thought, Ian, and shows that the lowest price in town, doesn’t always guarantee the results you are after. Even in the online world I see people having constant sales to try and compete Beverley, they think this is the only way to do things. 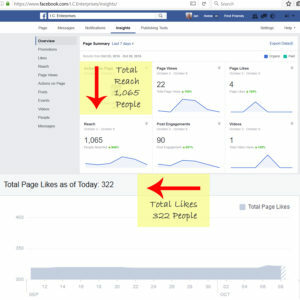 In the Internet marketing world this used to be prevalent too but as it evolved the marketers found that giving bonuses and extras on their products and services rather than discounting them added a higher perceived value which equated to more paying customers. That is the pathway I would choose for my business rather than competing on price which devalues your own products and services. I like the way the family business operated to stay afloat, Ian. It is something that I try to do in my business – providing value whether it is a free opt-in or a premium coaching service or any of the offers in between. Once potential buyers get used to expecting discounts or freebies, it is very difficult to wean them into actually making a purchase even for a low cost low risk product. I’ve seen this happen quite a few times with my ‘list’ behavior too and a few unsubscribes when I have pitched a product even if it was at a no-brainer price. I don’t like to compete on price because that affects my sense of self-worth and the perceived value of what I am delivering. The steps that I have taken to avoid this (after burning my fingers of course) is to have stopped offering live classroom training unless I am approached by a prospective client where I make my T&C very clear and avoid collaborating on projects with third parties unless I know them very well. The local market expects haggling for training and the last thing I want is to spend time, give value and then dig into my savings to keep my business alive. Value is always a better proposition to discounting Vatsala, as you say once your customers are used to you having lots of sales it is really difficult to retrain them otherwise. Perfect timing as here we are in the Us facing Black Friday huge sales & then Christmas holiday sales. We debated joining in on the sales & as an e-commerce site knew we could not compete with big box stores. Our margins are not high to begin with. So we are offering the best we can to our fans & followers across social media and will try a deal of the day for the holidays with our one-of-a-kind products. We don’t offer sales often, provide a quality product and customer service. On -line marketing is challenging. Online marketing IS challenging Ros, especially at this time of the year if your margins are already low. In your business, at least you have your products uniqueness which should help to overcome the crazy sales others create. Hi Ian, it’s the customer experience all the way over here. I’m in a lucky situation with my creative clients, that they are hungry for personal engagement. We are not participating in Black Friday… never have. But I will be doing something for Cyber Monday for my creative site which will not be to make money, in fact I will lose money for what I’m doing. I’m doing it to give back to those that have supported me all these years and to say thank you. Great case study Ian – love that the fifth store used its strengths to meet its customers’ needs. They were able to stay in business by staying off of the sale hamster wheel. Providing premium products and service = winning combination. Lots of challenges in the world of sales as you know, and I love it when a business is able to stay out of the ordinary and be what we all like in businesses we deal with – extraordinary. Absolutely Deb, providing premium products and service and concentrating on customer satisfaction allows you to maintain your pricing without having to discount repeatedly. We must be extraordinary in everything we do now to survive and flourish. I often go back and forth in my mind on whether I should put my book on sale when I see other authors offering discounted prices. As far as our private practice when people cant afford full price we were offering them the sliding fee scale. But when we did the math we found that giving countless discounts hurts our business in the end. We learned that in order to serve the community we have to charge a certain rate to keep our doors open. People are willing to pay for quality service. Great article. Let me say that there are some very valuable insights in this post. Firstly with the business I am in, We have the same issue with lots and lots of competitors who are even able to sell below what a product cost with its tax rate from a distributor, This makes it extremely difficult for anyone to compete with them. 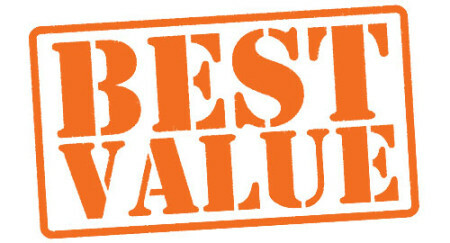 We try to add value everywhere we can, If you cannot have competitive prices, You need to make sure your customer services are of the highest standards you can possibly provide, and be able to share with a customer why your offerings are of more value, Be it better return policies, warranties, additional services etc. This will in essence build a lasting impression with that customer, They felt they paid more but would feel better about spending a few pennies extra to get great customer services and knowing that they are able to return to you in the future should there be anything they need help with or assistance. Starting a new business in a competitive market is not easy, To say the least it keeps you awake at night. And that is a common feeling I can share with other business owners. I agree totally Claude, when you are starting a business that is in a competitive area it can be daunting trying to compete with those who can discount beyond your capability to. But then, discounting or sales are never the best way to compete anyway so adding high value to what you offer is essential. Use customer testimonials to show that you go above and beyond your competition in your quality of service and care and this will help you to stand out in a busy market. When talking about what you offer, don’t just promote the technical aspects of your service, but try to convey how it will give the buyer peace of mind and a great experience when dealing with you. Sales doesn’t have to be about price when you can give your customer the experience they crave so let them know just how wonderful and safe that will be. Thank you for your kind words and for taking the time to comment on my blog, this is what makes writing these posts worthwhile.